Herna Muñoz-Galeano is the managing director and owner of HMG with more than 25 years of experience in the fields of specification, development, integration and management of complex engineering systems. Since 1998, Herna has been an independent entrepreneur with a special interest in transforming science into innovative products and systems. She also has knowledge of standardization at ITU, ETSI and IEEE. She has perfected the methods which optimize the development process, including integration and testing processes, for breakthrough complex technical systems. By applying the “functional anatomy” method, all projects have been completed within the given time frame and budget. Herna’s way of working is analytic and systematic and has made her who she is today. Respect, openness and trust are very important to her. Her employees and customers value her fast and logical judgment as well as her reliability and social competence. She is client-service oriented and is always open for new challenges. Due to her international background, Herna speaks English and German fluently and Spanish as her native language. She has implemented projects in Germany, Sweden, Spain, the Netherlands, the United Kingdom and Brazil. 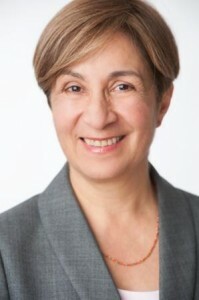 Herna holds a master’s degree in Electronics Engineering from the Universidad Distrital Francisco José de Caldas in Bogotá, Colombia and a master’s degree in computer science from the Friedrich-Alexander-University in Erlangen-Nuernberg, Germany. In January 2014, Herna founded HMG Systems Engineering GmbH by merging two other companies which she previously established and owned. In 2016, HMG Systems Engineering GmbH was awarded one of the Top 100 (top100.de) most innovative SMEs (small and medium-sized enterprises) in Germany. On 29th April 2016, she was awarded the Career Prize “Engineer PowerWoman 2016” by the Deutsche Messe AG at the Hannover Messe. She was born in Colombia, is married and has two children.